Under the additive manufacturing method, the number of parts in a single fuel nozzle tip was reduced from about 20 pieces previously welded together to one whole piece. The nozzle tip's weight was cut by about 25 percent. "Today, there are hundreds of big planes flying between cities around the world and carrying machine components," noted Mohammad Ehteshami, the former head of engineering at GE Aviation who now runs GE Additive, a new business focusing on the latest manufacturing techniques like 3D printing. "Tomorrow, you won't need to do all of that. You'll just print what you need." Experts believe that China is quickly closing the gap on the technology's application and commercialization. "The Chinese market is always intensively competitive, because here people want to do things fast and they put their heart and soul into it," said Benjamin Tan, vice-president of Asia-Pacific at Ultimaker. "3D printing could be as simple as designing a phone cover, or as sophisticated as designing a rocket. But we have a role to play here, by shortening production time and allowing just any imaginable structure to be created with polymers, metals or even ceramic materials," he said. For instance, the company has teamed up with a carmaker in China to allow customers to customize car body patterns using 3D printing solutions, which Agam hailed as a "true revolution". "Till now the 3D printing remained largely a B2B business. This is for the first time that customers can come and actually have an impact on what the products are going to look like," he said. "Customers and end-users are expecting new things at a much faster pace than before, prompting companies to come up with new products at a pace that could never be achieved by traditional manufacturing," Agam said. Materials play a critical role in the process. While plastic remains the most widely used material for 3D printing, the use of metal as "ink" will become more popular in 2019 and beyond, and more material companies are joining the fray. "The implications are huge - the auto, industrial and medical sectors alone produce billions of metal parts each year," Dion Weisler, CEO of HP Inc, was quoted as saying in a press release. The company believes the metal platform unlocks the speed, quality and economics to enable customers to design, manufacture and deliver new solutions. 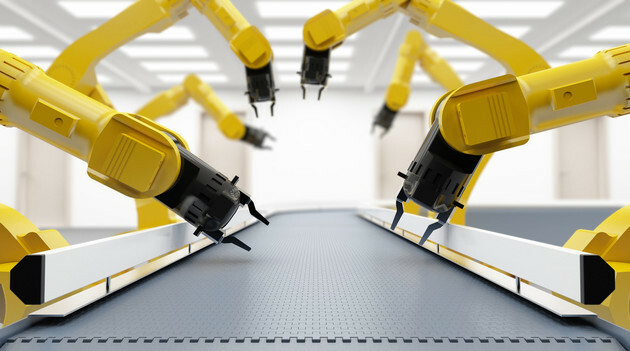 But according to autonomous manufacturing trade group AMFG, the focus on metal 3D printing in recent months has meant that the expansion of the polymers segment - it still dominates the overall 3D printing materials market - has often times been overlooked. "By making print profiles in the Ultimaker marketplace, engineers and designers in the electronics industry can benefit immediately from the ease of use of desktop 3D printing," said company CEO Jos Burger. "The Chinese market is a lot more advanced and aggressive. So we are aiming to serve not only the industrial users but also the manufacturers," said Blake Teipel, CEO of Essentium, another material maker that forayed into China this year.